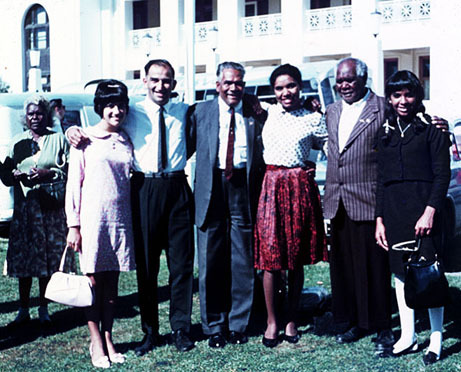 Delegates to FCAATSI (Federal Council of Aboriginal Advancement and Torres Strait Islanders) Conference, Canberra. Mid 1960's. L TO R : E.Jackomos, A.Jackomos, B.Groves, J. (Mercy) Clauge, L.Moffatt, D.Murray.